Call for entries for Effie UK opens in October 2015. Judging to begin in February. Winners to be announced in London in May 2016. As part of an ongoing strategic alliance with the International Advertising Association (IAA), Effie Worldwide is pleased to announce the arrival of the prestigious Effie Awards to the UK. Effie Worldwide is known globally as the leading champion of marketing effectiveness with its signature initiative, the Effie Awards, being recognized throughout the industry as the global standard of marketing effectiveness excellence. With the addition of the Effie UK program, Effie Worldwide’s international network now expands to 40 national programs, 5 regional programs, and 1 global program. 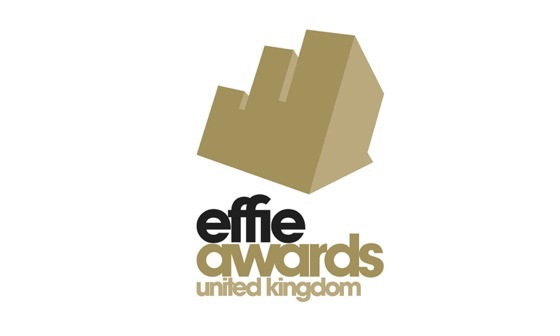 The inaugural Effie UK program will be open to all marketing efforts that ran in the United Kingdom between April 1st 2014 and September 30th 2015. The first ceremony, where the 2016 Effie UK Award winners will be announced, will take place in London in May 2016. Davies added, “More importantly, such a strategically smart market as the UK now has the chance to shine globally by being included in the prestigious Effie Effectiveness Index. This isn’t just an important competition around effectiveness: it is a new benchmark for the UK”. The Effie Effectiveness Index identifies and ranks the most effective agencies, marketers, brands, networks, and holding companies by analyzing finalist and winner data from all worldwide Effie competitions. Announced annually, the Effie Index is the most comprehensive global ranking of marketing effectiveness. Recent winners include Coke, BBDO, WPP and Unilever, among others. Introduced in 1968, the Effie Awards honor the most effective marketing communications efforts globally. Effie UK’s 2016 Call for Entries opens in October 2015 and judging will be held in February and March. The final jury will gather in London in March to select the 2016 winners. The International Advertising Association (IAA), headquartered in New York, was founded in 1938 to champion responsible marketing. The IAA, with members in over 40 countries, is a one-of-a-kind global partnership comprising advertisers, media, advertising and public relations agencies, media companies, and academics. The IAA is a platform for industry issues and is dedicated to protecting and advancing freedom of commercial speech, responsible advertising, consumer choice, and the education of marketing professionals. For more information please visit www.iaaglobal.org or follow @IAA_Global on Twitter and on Facebook.com/InternationalAdvertisingAssociation.